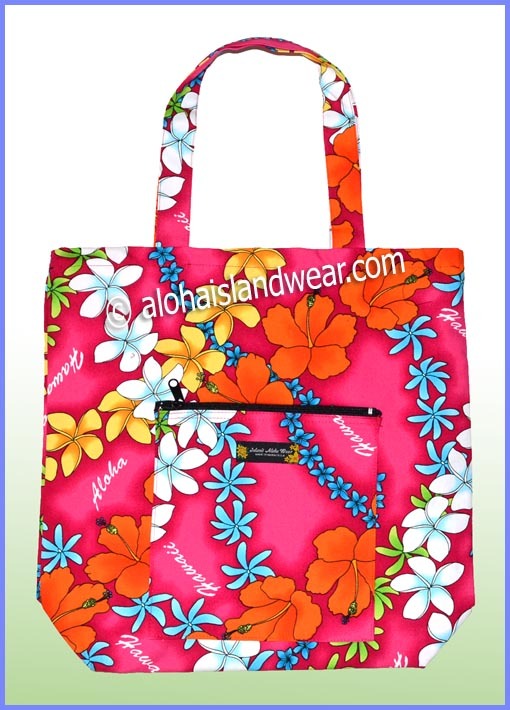 This Hawaiian print tote bag is designed more durable with double layers and secure the main compartment with a top zipper, one side pocket with zipper, double straps with matched print as use for hand carry or as shoulder straps, this tote bag is perfect for baby diaper bag, travel bag, shopping bag, school bag, luau, it's also a great aloha gift for baby shower, birthday, retirement, farewell, Christmas and much more. - Strap drop 9" length with 1 1/4" width straps. 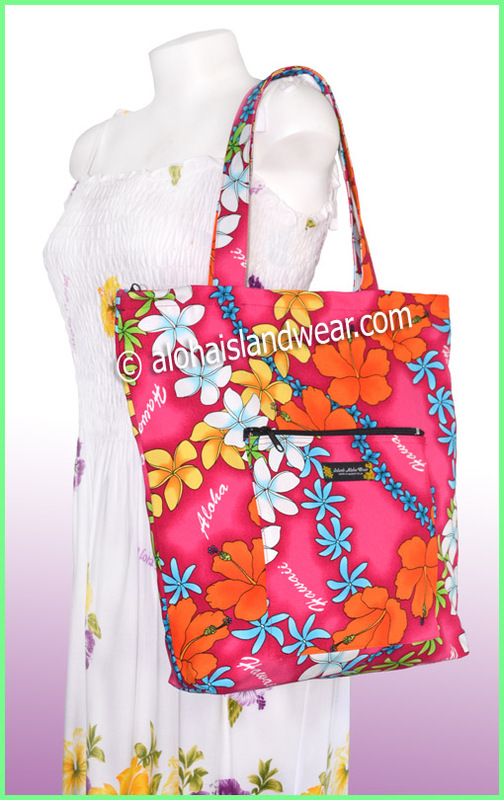 - Tote bag dimension: 16" width X 15" height X 4" depth. 2)The internal layer floral prints were random chosen from the manufacture, sold as whatever the prints available.